Guest Blog Post by Laura Barmby, the Program Officer for the President’s "E" Awards. In this capacity, she coordinates the submission and review of applications for this Presidential Award, working with an inter-agency committee. Last month, Secretary of Commerce Gary Locke and Under Secretary Francisco Sánchez presented 27 U.S. companies, organizations, and institutions the President’s "E" Award for Exporting. The "E" Award is the highest honor presented to exporters and acknowledges the significant contributions of the recipients in supporting U.S. exports. This year marks 50 years since the establishment of the program by President Kennedy in 1961. In honor of our nation’s manufacturers, I wanted to highlight for you a few of the companies that received the award this year that manufacture unique products. What caught my attention was that this year we have three winners who took a product found in nature and improved it through a manufacturing process to make a great new product. Think about the jobs created by these companies: farmers, scientists, assembly and manufacturing support, shipping, distribution, marketing. If you have a product or service that you would like to export, visit Trade.gov to find out how to contact your nearest U.S. Export Assistance Center. With 108 centers nationwide, exporting help is right around the corner! APS Biogroup is an innovative company based in Phoenix, Arizona that was founded in 2003. They originally produced bulk bovine colostrum powder to be used as a nutritional supplement. They caught my attention because as a mom of two, I know all about colostrum, the first milk produced by mammals. It is nutritionally rich, naturally concentrating all the good stuff produced by mammal moms to support new life. APS Biogroup uses colostrum from bovines (cows). They have expanded to produce other non-colostrum products too. One thing APS does with the product revenue is to reinvest it by self-funding research and development of new products, including an innovative medical product that is extracted from U.S.-sourced bovine colostrum. Their U.S.-patented product, IMMULOX®, a Proline rich Polypeptide extract, is a mouth spray sold as an immune modulator made ‘naturally’ by mammals-for-mammals. It is the only U.S. dairy product extract that has ever been given a full drug license by an overseas government to treat HIV/AIDS. Several other non-U.S. federal governments are currently doing clinical drug and over the counter trials of this product for AIDS and other immune-related disorders. 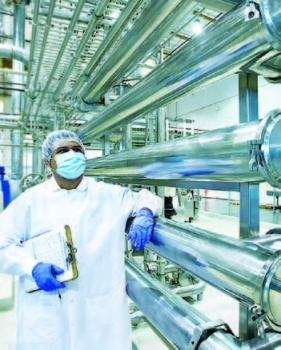 APS Biogroup currently exports IMMULOX® to 20 countries. Two other winners are based in Hawaii. Cyanotech Corporation is a world leader in the production of high-value natural products derived from microalgae. Back when I was a kid, algae was, dare I say it…yucky? But now, algae is waaay cool. Scientists are discovering so many uses for algae. The folks at Cyanotech, founded in 1983, make beneficial, high-quality microalgal products for human and animal nutrition using sustainable, reliable, and environmentally sensitive operations. 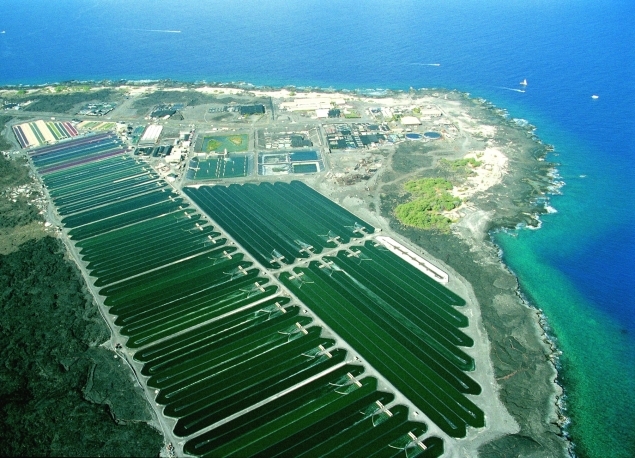 Here is a picture of their algae farm at Keahole Point, on the Big Island of Hawaii. Hawaii is the ideal location for Cyanotech’s microalgal processing technology as it receives a high amount of sunlight needed for algal cultivation year-round, is subject to low rainfall, and provides unique access to the pure deep ocean water used in their cultivation and processing systems. Cyanotech currently holds three U.S. patents related to processing and three U.S. patents for BioAstin® Natural Astaxanthin related to the following applications: Carpal Tunnel Syndrome, Canker Sores/Fever Blisters and Internal and External Sunscreen Protection. Cyanotech exports its nutritional supplements to 40 countries around the world. Also from Hawaii is Noni Biotech. Founded in 2006, Noni Biotech International (NBI) has quickly grown into the world’s largest manufacturer and supplier of Hawaiian Noni. 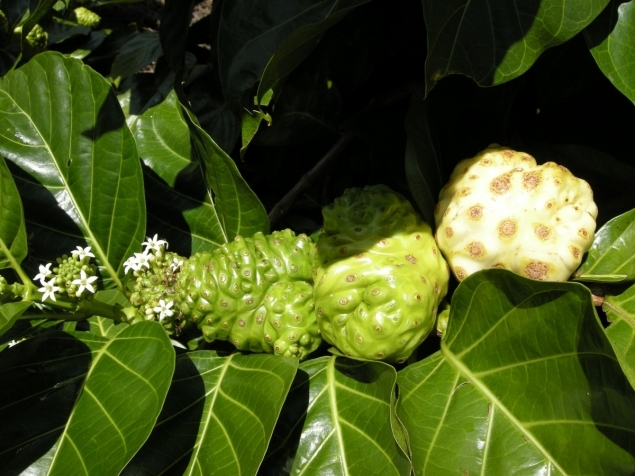 The Noni fruit comes from a small evergreen tree growing along Hawaii’s coastal areas. In traditional Polynesian herbal medicine and native Hawaiian cultures, the Noni fruit was widely praised for supporting immune functions, aiding digestive health, and promoting well-being. Noni Biotech uses the Noni fruit to produce Noni juice, Noni powder and Noni capsules, Noni puree, and Noni concentrate. They also have a subsidiary, Pacific Biotech LLC (PB), that engages in research and development of Noni extracts with the potential to treat disease.